There were a few security incidents during the demonstrations. Police detained four people, three of them teenaged boys who brought nails and hammers, two of many objects security forces had banned from the protest. Police also found eight bottles transformed into potential explosives in an abandoned taxi cab downtown. 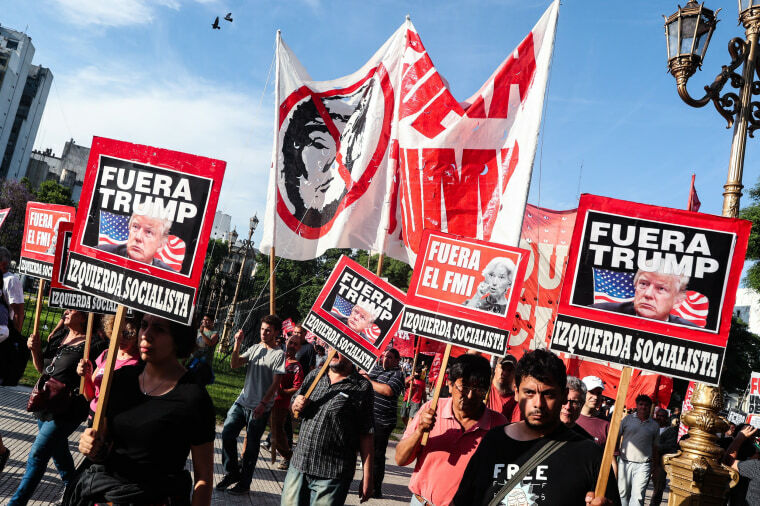 Argentine Security Minister Patricia Bullrich had warned Buenos Aires residents to leave the city for a long weekend and avoid what she called a “complicated” security set up, which included 2,200 law enforcement agents, metal barricades and road closures. Authorities declared Friday a national holiday and shut down all public transportation and many roads. “There will be zero tolerance,” she said. The G20, which ends Saturday, is the first time the summit has been held in a Latin American country.